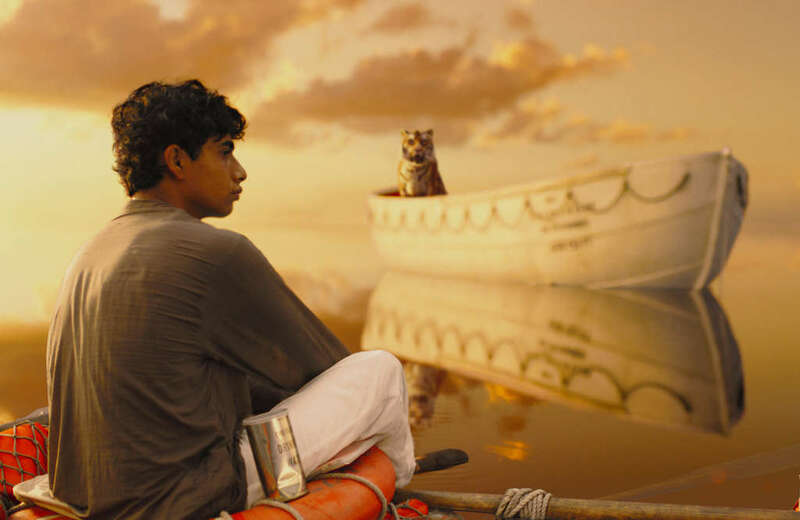 I was fortunate enough to go and watch The Life of Pi in 3D on the weekend. I didn’t know what to expect when I sat down to watch this enchanting tale. I had not read the book and found myself trying desperately to avoid all the rave reviews so as not to spoil my experience. Honestly, I’m glad I did because it is one of the most extraordinary films I’ve seen in ages! Ang Lee is a master cinematographer, bringing Canadian writer Yann Martel’s epic novel to life with finesse and style, leaving you breathless as you are swept away on Pi’s adventure of life of time. The complex and emotional journey is like a dance synchronised with the swells of the unforgiving ocean and is seemingly narrated by his conversations with God. And by the end of the film even though your heart is sad, your spirit is awash with hope. There are number of incumbent themes that author Yann Martel chooses to outline in his novel and Ang Lee does a marvellous job in his adaptation on covering all of them. For me however, the manner in which ‘faith and religion’ is discussed is particularly interesting. I found it amusing and heart-warming, and at the same time intellectually stimulating. Coming from a staunch Christian background, I was able to identify with Pi, the young Indian boy from Pondicherry in his love for ‘God’ and his unwavering faith through adversity. The difference is, while Pi tells a tale that makes you want to believe in God (or at least try and find some sort of faith), my tale is somewhat more cynical. I lost my faith along time ago. No, correction, I lost my faith in religion a long time ago. None-the-less, here is the story of a boy who from a young age is raised as a Hindu, but comes to follow Christianity and Islam as well and all at the same time. Humorous, yes, ridiculous? No. If you look a little deeper, Pi seeks to ‘love God’ and uses the best of all three religions to do so as only a 12 year old boy in his ‘infinite’ wisdom can. This idea had me playing ‘riddle me this’. Why had I never considered this concept growing up? Or even now as an adult. My stance over the years has grown to one that simply asks – which religion is ‘right’? And then I remembered something, it’s called modelling. No not Gisele Bündchen and Elle Macpherson sauntering scantily clad across a catwalk – but rather the concept of modelling people and behaviours. Modelling is about finding and replicating strategies that successful people are using. The world is full of successful people and if you listen to some of them speak, you will see they all had role models on which they based their success on. Think about it. Why would you reinvent the wheel? If someone is already successful at doing something that you want to do, why not learn from that person? Pi did this perfectly if you look at it in context. 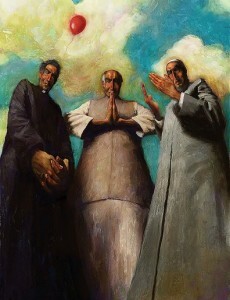 He examines more than one model of faith, found elements that attracted him and replicated these as his own. The outcome was that through his perilous journey, the one that challenged him and become his ultimate test – his faith (based on all three religions) was unwavering. So, here is a challenge for those of you who hopefully already have set some goals for 2013. Now, why not try and find someone who has already accomplished these goals. If possible, ask them some questions. If you can’t, research their materials, their books, and their website, who knows you might find an email address for them. Even if you don’t, look for any information that links your goals to theirs. Be open to new ideas, as you might expect, they are going to be different to yours. And finally, just try it! If you spend too much time thinking about a thing, you’ll never get it done. Instead of worrying about what people say of you, why not spend time trying to accomplish something they will admire. Any feedback, questions or comments are welcome. Copyright © 2019 the striped couch - Relax, I'm here now, it will be okay… said with a warm smile and an open hand | Inspirator.